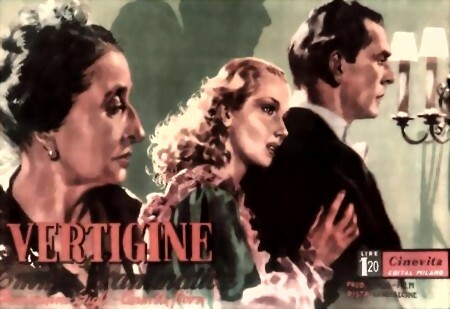 This Italian/German production is better known under the title, Vertigine. The daughter of the famous tenor Alberto Riccardi falls in love with Vieri, who is having an illicit affair with an adventuress. Learning that she is once more pursuing Albert, the young girl, believing herself betrayed, does not listen to his excuses and cuts off their engagement. 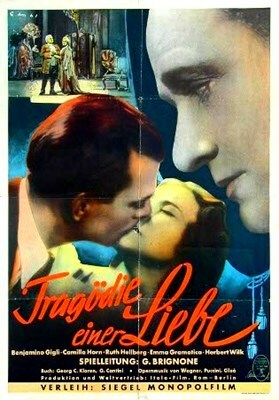 This results in him being set adrift and, in her depression and desperation, ends up at the mercy of a loan shark. To save him, the girl, who hasn’t ceased loving him, sacrifices a large sum of money and goes through so many emotions, that her health, already poor, is destroyed. Before she dies, she has he consolation of seeing Alberto repent and decide to change his life.